Copyright © 2012 - 2018 Lady Elena Bain - The Silk Flower Artist. All rights reserved. This video tutorial is for personal use only. The reproduction, distribution, or copying of any part of this video in whole, or in part, or in any form, and without written permission, is strictly prohibited and will be prosecuted. 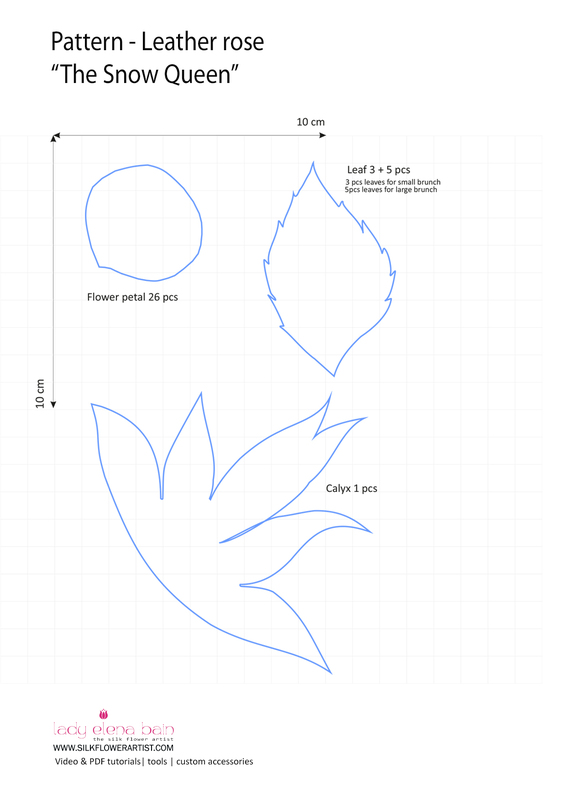 Video tutorial "The Snow Queen"
Pattern on the leather rose "The Snow Queen"
Please help us to improve the quality of future video tutorials. Answer five YES/NO questions. Thank you!